Shelby Fredericks looks to make a defensive play. The attacker is one of numerous Northwestern seniors who will celebrate Senior Day on Saturday. Saturday’s game between No. 7 Northwestern and Rutgers is a big one for senior Shelby Fredericks. The attacker will not only be one of eight Wildcats honored as part of Senior Day festivities, but she’ll also have a shot at tying or setting the program’s all-time record for draw controls — her career total trails the all-time mark by just 13. Nevertheless, Fredericks is following a tried-and-true strategy to deal with the distractions: ignoring them. Still, the draw controls record will be an interesting sidestory to follow, especially if the contest between the red-hot Wildcats (12-3, 4-0 Big Ten) and middling Scarlet Knights (7-8, 1-3) turns into a rout. Fredericks averages 8.5 controls per game, which would rank third in the country if she qualified — she isn’t currently eligible for the national leaderboard because she missed NU’s first four games with an injury — but has tallied 13 or more controls in a single game five times in her career. Rutgers, which sports a minus-33 draw control differential this season, could be an advantageous matchup, too. Coach Kelly Amonte Hiller said Fredericks, who has led the team in draw controls in each of her four years in Evanston, has maintained a staple of the Cats’ long-term success. The Scarlet Knights will enter the game on nine days of rest, dating back to a dramatic overtime victory over Michigan that pushed them into a two-way tie for the fourth and final spot in the upcoming conference tournament. Amonte Hiller said she expects the “resilient” Rutgers team to come out fighting. NU will counter with a lineup overflowing with confidence, thanks to its ongoing seven-game win streak. Playing in their final regular season home game will be the likes of midfielder Sheila Nesselbush, whose 37 goals rank second on the team; attacker Danita Stroup, whose 21 goals rank third; and defenders Lindsay Darrell and Ally Mueller, who Amonte Hiller said have brought much-needed leadership to a back line that starts two freshman defenders and a redshirt freshman goalkeeper. It is difficult, after all, to find a more experienced player on this roster than Darrell. The senior from Long Island, New York, has appeared in all 78 games since her arrival in 2014-15 and started 70 of them. 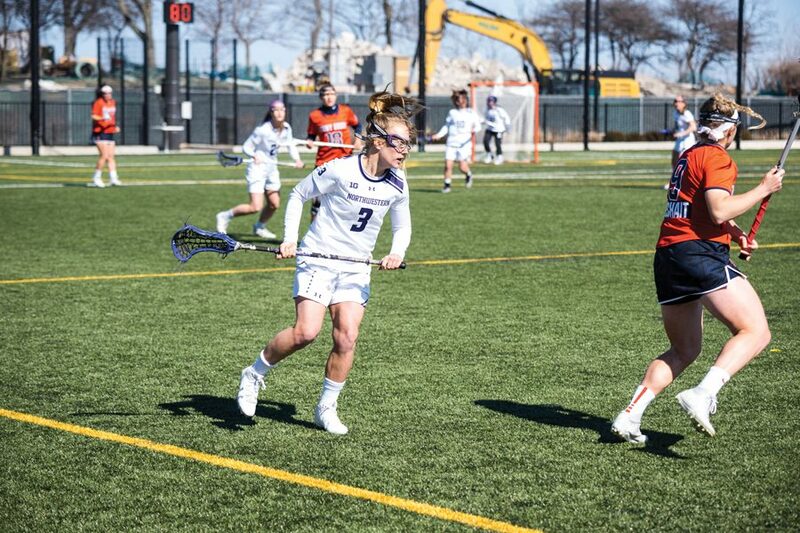 She’s seen a lot of lacrosse, but not since that 2015 season has she seen an NCAA Tournament game played in Evanston. She said she’s hoping this year that drought is snapped.